Who says drones are just for the military? They’re perfect for regular Joes, Janes, and kids too, and they aren’t all costly either! You can buy a small drone nowadays for about fifty bucks. You can take aerial photographs using drones equipped with cameras, and enjoy a VR experience using a smartphone and a headset. Parrot Bebop is one of the most popular consumer drones out there. Straight out of the box, it meets all FAA requirements. Specs include an impressive 14MP full HD camera that can shoot 1080p videos. The camera has an ideal 180-degree field view too, so you can take panoramic shots. For shooting still pictures from the air, the drone has a 3-axis image stabilization feature. The drone has a corresponding Free Flight Pro app for Android, iOS, and Windows phones. It will take a while to learn to fly this if you are a beginner. Do stay away from trees and other obstacles. This drone cannot handle hard impact. It can stay airborne for about 10 minutes depending on usage. The only serious downside is that this drone doesn’t come with a controller. Controls are with the app. 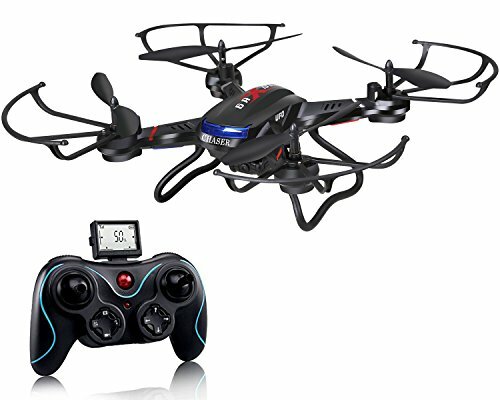 Other than that, considering the price and the featured offered, this is definitely one of the best drones for a $300 budget. I was impressed by this very stable and durable flyer. It can handle very short but extreme flights and handle a crash or too. This drone has prop guards to protect the gauge in flight. It’s possible to take them off to make the drone lightweight for higher flights. The HD camera is removable too. It also comes with software to find the copter if it crashes or goes missing in the wild, kind of like the find your iPhone feature. I managed to keep this one in air for up to 9 minutes several times. Flight time will vary between 7 to 9 minutes depending on various factors. 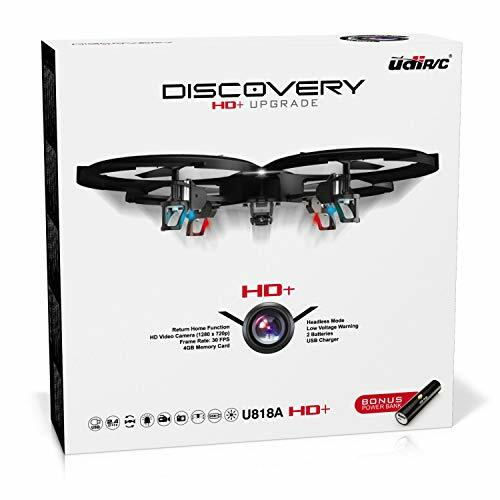 I recommend this if you are looking for a cheap but a very sturdy drone. This is a mini propeller drone that is perfect for kids and beginners to become familiar with drones. It’s easy to fly like a toy. It has limited wind resistance, though, and also because of the small frame, it’s best not to fly it when it’s windy outside. The one I ordered came with lots of extra props and landing equipment. Flight time is maximum 7 minutes. There’s a camera installed but it’s not very impressive. It has the same quality as cameras on those old flip phones. Other than that, it’s a solid product that the whole family can enjoy flying. This is a somewhat high-end drone that comes in a nice and sturdy carrying case with padding for all the parts. A VR headset is provided to enjoy an amazing experience. The drone is equipped with a 120-degree wide-angle lens camera. 720p Wi-Fi streaming video projects whatever is shooting straight into the smartphone once the drone app is installed. The flying was smooth and steady and didn’t cause me any trouble. Though, it’s advised to avoid running into obstacles, like tree branches. The drone has a flight time limited to about 5 minutes. But it’s worth it for the VR experience. This is a fun little drone with an HD camera capable of flying headless. That means the drone doesn’t have to be positioned in a particular direction to fly. 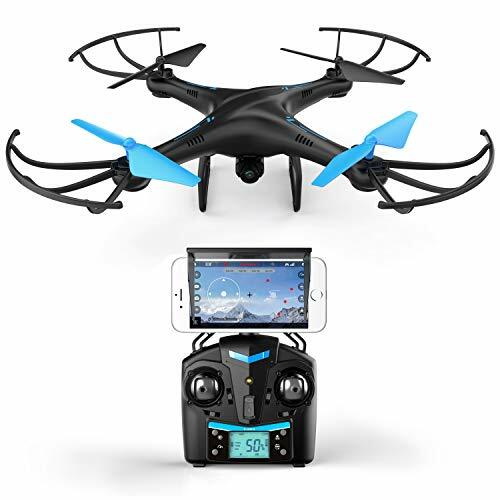 The drone is easy to fly even for a beginner and in-flight mode is highly stable. I could rotate it for flips and various cheap tricks that impressed the little ones. Two batteries are provided for an extra charge in the field. The camera offers solid pictures. Video resolution is a respectable 1280×720 with 30 fps. A 4GB MicroSD card is provided that has enough storage for multiple flights. It also gives a low battery warning so I can pull it off air quickly without risking a crash. Overall, I found this product to be very useful and totally worth the price. This drone is definitely an eye catcher with stylish blue stripes. Plus, it comes with VR headset compatibility for FPV flying. Assembly is really easy and took me only about 2 minutes to put everything together. The drone requires 4 AAA batteries. It’s very lightweight so it can fly quite high, but do mind the wind resistance. The drone can also be made to hover at a high altitude. It’s really a breeze to play with. The HD camera is only 2MP but that’s standard for drones of this size. First of all, you need to adjust your expectations. Even the best drones under $300 are small and lightweight. They are not designed for heavy-duty flying. Only larger drones can handle rough flying in various windy conditions, and these require a lot more money and FAA registration. Buy a drone with VR headset compatibility to enjoy a unique and awesome first person view flying experience. It’s like you are the one flying in the air! Don’t be disappointed if the cheapest drones do not last for more than two or three flying cycles. They can break easily, especially when using with kids. Handling drones with care and minding wind resistance will make them last longer. Buy a drone with a low battery warning so you can land it before the battery dies and the drone crashes into the ground. 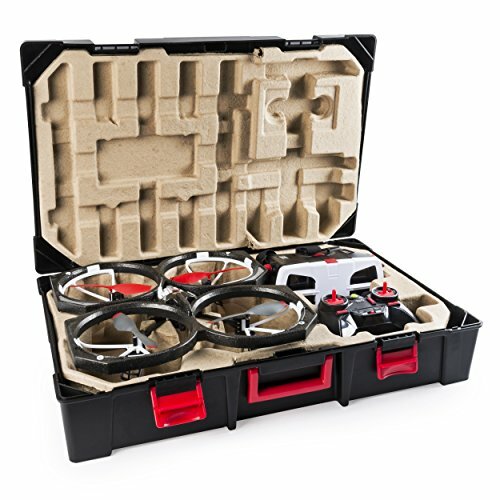 Some drones come with carrying cases with padding inside for the parts. 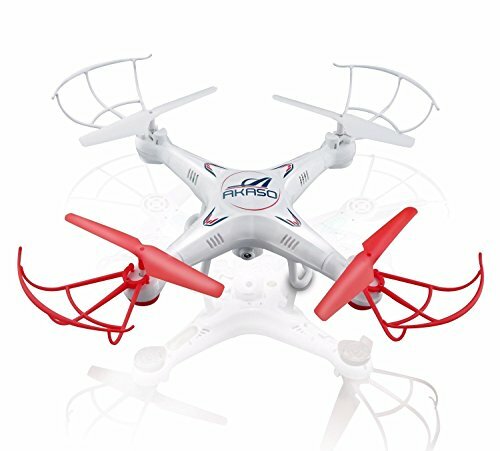 Buy one of these if you plan outings with your drone. When buying a drone, make sure the drone has features to provide stability while in the air. This is usually listed in the product descriptions or labeling. If you are not sure, contact the seller or manufacturer and specify the features available.